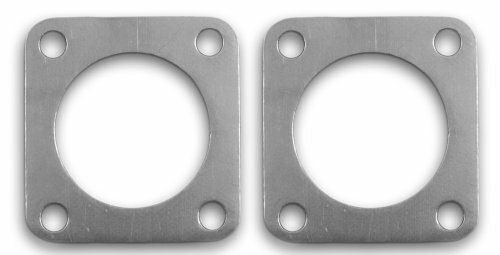 Remflex exhaust gaskets are soft and compressible so the suggested torque for each gasket, which is generally much lower than factory torque, is listed on the back of each package. Remflex is made in the USA so they control every step of the manufacturing process guaranteeing a superior product that customer can rely upon. Remflex's unique flexible graphite material has been proven for more than 30 years in industrial applications, where temperatures routinely exceed 2000 degrees-day after day, week after week, year after year. For over 10 years Remflex have been bringing this technology to automotive enthusiasts of all kinds to eliminate exhaust leaks for good. Experience has shown that no gasket should be reused if there is want for a reliable seal, therefore Remflex do not sell or market their gaskets as reusable even though they have been told that they have been reused successfully in the past. Do not use sealants of any type with the gaskets. The sealant burns out rapidly leaving a gap which creates an exhaust leak. Remflex exhaust gaskets are good to 3000 degrees which far exceeds the temperature rating of any sealant. Quick, easy, and great pricing, just the way I like it!